Show only relevant information to your players! Image 1. Svenska Spel’s start page. I’m a member at Svenska Spel and play there every now and then. Today I went to svenskaspel.se to see how much money had in my account there. I was very surprised to see those options, especially since my member number was already filled in. 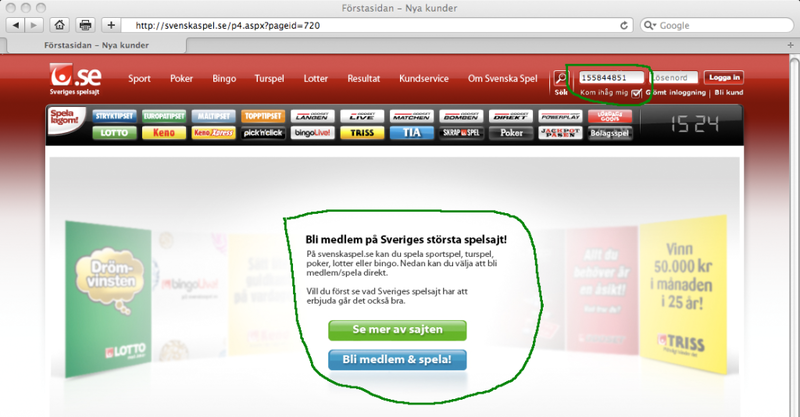 So Svenska Spel knows that I am a member and shouldn’t display that start page for me. I believe that it is really important not to show options and information not relevant to the player and this is one example of this.